Telia Company (formerly TeliaSonera AB) (Telia or "the group") is a telephone Company and a provider of mobile network access and telecommunications services providing communication services to millions of customers to stay connected, conduct business and be entertained. The group offers mobile and fixed communications services, including internet, data, and television (TV) services. Teliahas operations in Eastern and Northern Europe in countries like Norway, Finland, Swedan,Denmark etc., South and Central Asia. Headquartered in Stockholm, Sweden, TeliSonera paid 8.7 billion dividend to its shareholders in 2017. The Swedish State has a stake of 37.3% in this multinational telco.As of 2018 it has 20700 employees and it featured in #723 in the Forbes Global 2000 list. TeliSonera’s USP or Unique Selling Proposition lies in being the largest Nordic and Baltic fixed line, broadband, and mobile operator by revenue and customer base. Telia Carrier stands at #1 rank in the global Internet backbone rankings and as of January 2018, Telia’s direct customers account for more than 53% of global Internet routes.Telia Company AB’s mission statement states “Bringing the world closer” and with a set of values “Dare, Care, Simplify”. 1. 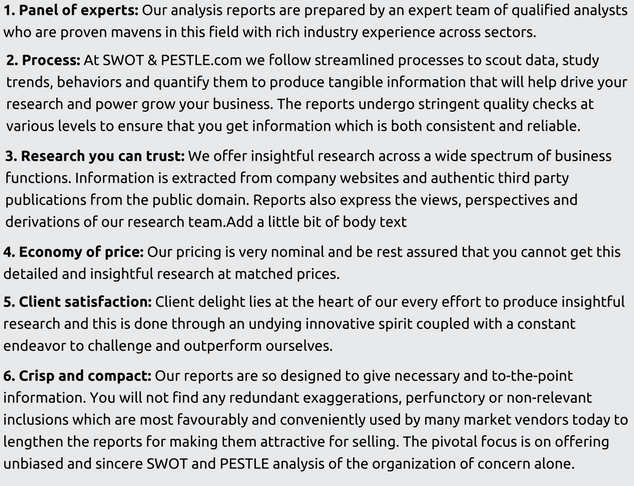 Strong market position: The group has strong market position in majority of the markets that it operates in. In FY2017, Telia had leading position in telecom markets of many countries, including Denmark (20% market share in Mobile Services), Estonia (83% market share in Fixed voice services), Kazakhstan (Its Kcell and Activ brands are at number 1 spot), Lithuania (88% market share in Fixed voice services), Sweden (Number 1 service provider in Mobile, Broadband and Fixed Voice services). In the fixed voice service markets, Telia has leading positions in Estonia, Lithuania, and Sweden with shares of 83%, 88% and 54%, respectively as of FY2017. The group also has leading market position in the broadband service markets where it is at the number one spot in Lithuania, Sweden and Estonia. Strong market positions in most of the markets it operates in enhances the brand equity of the group and provide significant edge over its competitors. 2. Higher margins and effective allocation of resources as compared to peers: Telia has higher margins and effective allocation of resources as compared to its peers. For instance, in FY2017, the group recorded an operating margin of 15.3%, which is higher than its competitors such as VimpelCom and Telenor. Higher margins compared to peers reflect the group's ability to deploy its resources in profitable avenues and indicate improving operating efficiency. Telia has even acquired companies such as Faltcom, Humany, Inmics, Nebula, Phonero and Propentus in 2017 to strengthen the core business. 3. Goodwill in Nordic and Baltic region: Telia’s fiber backbone is the second largest in the world and it stands firmly in the Nordic and Baltic region of Europe. In Sweden Telia ranks at #1 position in having Happiest TV customers. It won the Best Customer care award in 2017 World Communications Award. Out of 7 countries in which it operates it has got #1 position in Best Mobile Network in 5 countries. This goodwill of Telia has helped it to sustain its position in these regions and expand in new markets. 1. Environment and climate changes. 1. International political and macroeconomic developments: Telia Company has international carrier operations , material investments and receivables related to its associated Company OAO MegaFon in the Russian Federation. The Russian Ruble and its economy is highly susceptible to US and UK sanctions and its counter reactions can largely impact the Eurasian operations of TeliaSonera. These political developments or conflicts affecting the countries in which it operates may adversely affect its cash flows, operational results and finances. 1. Increasing concerns towards customer privacy: Usage of Telecommunication services and networks generate vast amount of data. Data-centric and voluminous-data centric business models make it difficult for consumers to understand and control their data collection and usage. Although TeliaSonera undertakes appropriate measures for protection of consumer privacy and secure network integrity and data security; However any external or internal factors negatively affecting the data security and intruding consumer privacy can have unfavourable effects on Customers’ perception of TeliaSonera’s work ethics. This can harm its brand image and goodwill, thus adversely affecting its operations, customer loyalty and business profits. Fält Communications AB (Fältcom) Transport 2017 Acquisition Telia Company acquired all shares in Fält Communications AB (Fältcom) a company in the Nordic connected public transportation market. C-Sam AB Manufacture 2017 Acquisition Telia Company acquired all shares in the Swedish company C-Sam AB a company that develops and maintains fiber and cable networks. 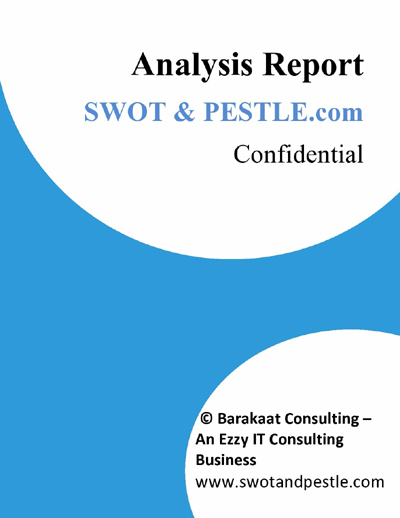 Telia SWOT and PESTLE analysis has been conducted by and reviewed by Senior Analysts from Barakaat Consulting. 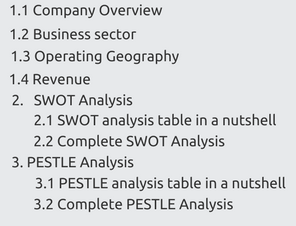 Copyright of Telia SWOT and PESTLE Analysis is the property of Barakaat Consulting. Please refer to the Terms and Conditions and Disclaimer for usage guidelines.